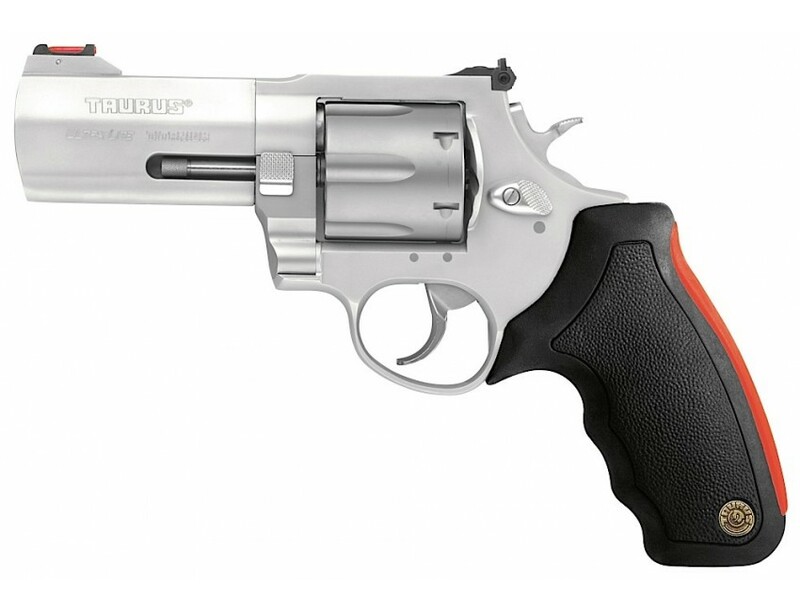 The Taurus Model 444 UltraLite .44 Magnum revolver is built on a Raging Bull style frame and easily handles the .44 Magnum. This super light, six-shot multi-alloy revolver will accompany you on more hunts than any other hunting companion. The Model 444 UltraLite has a dual lockup cylinder for stability under extreme chamber pressures, a transfer bar safety, and the Taurus Security System for the built-in ability to secure your pistol at the turn of a key. At just 28 ounces, you won't even notice it's there until you need it. The 444 UltraLite has a matte titanium and stainless steel metal finish, fiber optic front sight, and a black cushioned insert grip to pillow recoil.